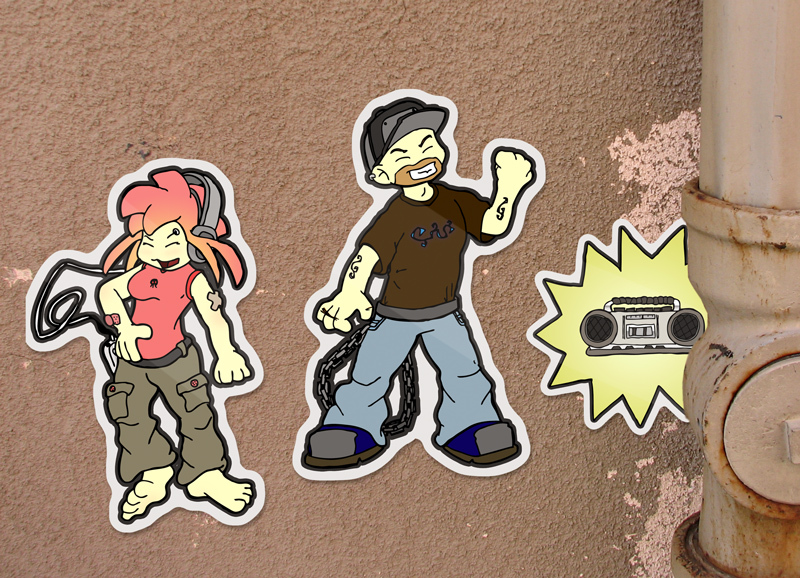 Another piece of sticker art. This is Sari and Gus, who have not appeared in the comic. Yet.